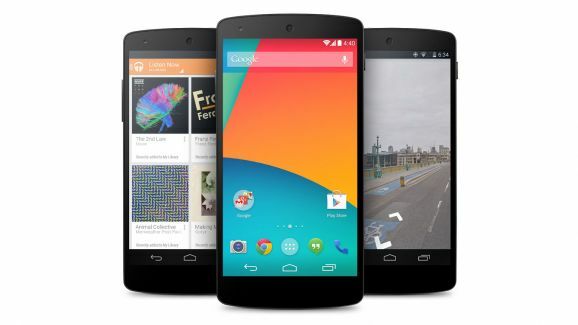 Every year, Google will launch a new Nexus device with the latest hardware and software. This year, Google had launched the Nexus 5, running with 2.3GHz Snapdragon 800 chipset and 2GB RAM, which certainly sounds market leading. It has a 2,300mAh battery and a 5-inch 1080p display while also debuting with the new version of Android – 4.4 KitKat. 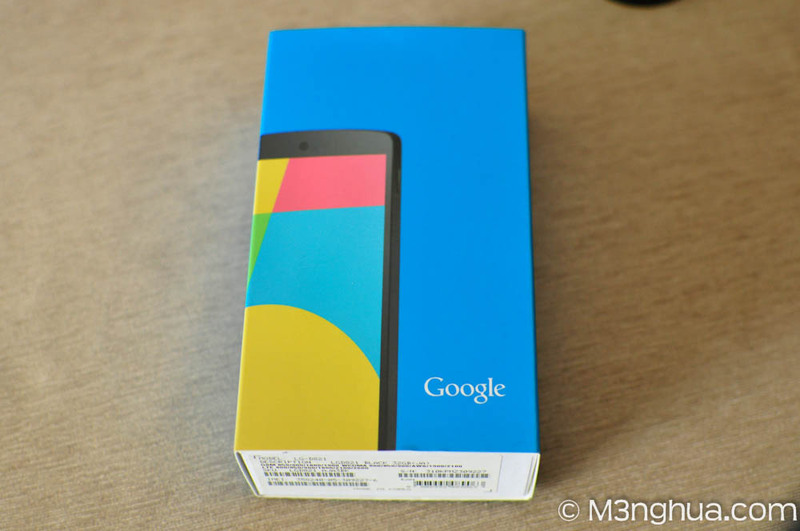 Nexus 5 comes with two storage version, 16GB & 32GB in white or black at the price of $349 & $399 USD. There are 2 models, D820 (US set) and D821 (International set) with different LTE frequency band. The D820 LTE radio band will only work in US while the D821 LTE radio will work for almost all other countries including Malaysia. It will take months before LG officially launches it in Malaysia and I was so eager to get this new gadget, I bought an imported 32GB D821 from Japan instead by paying some forwarder service. There are so many reviews of the phone on the net, and I will just show some photos I took during unboxing. 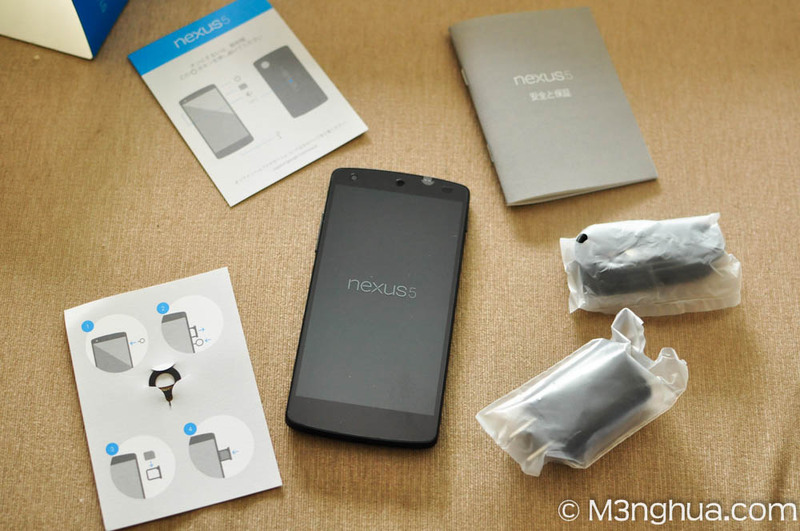 The phone comes with some instruction manuals, sim tray pin, charger and micro USB cable. Headphone is not included and since this is a Japan set the charger is not compatible with our 3 pin socket in Malaysia. Not a big deal since a universal adapter will solve the problem. 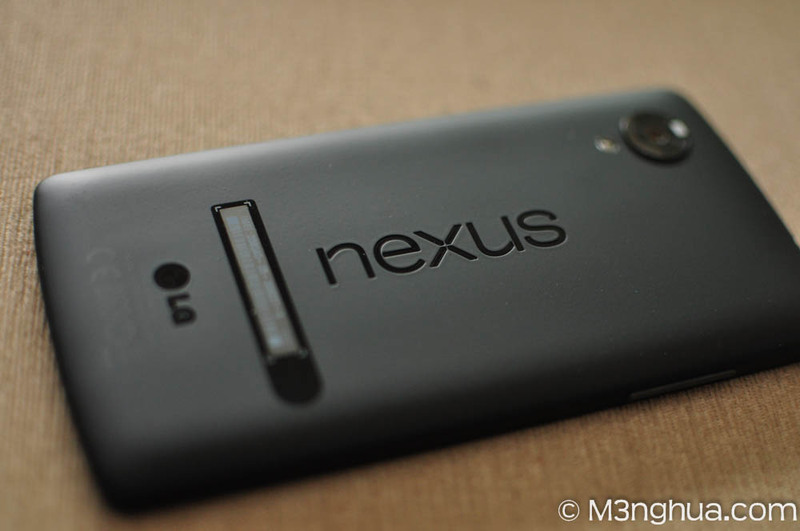 The Nexus 5 features a 5-inch 1080p IPS display – that’s 1920 x 1080, giving us 445 PPI. The display is crisp and clear that there’s no way for you to find a single pixel with your eyes. The color are less saturated and look natural compared to Samsung AMOLED screens. 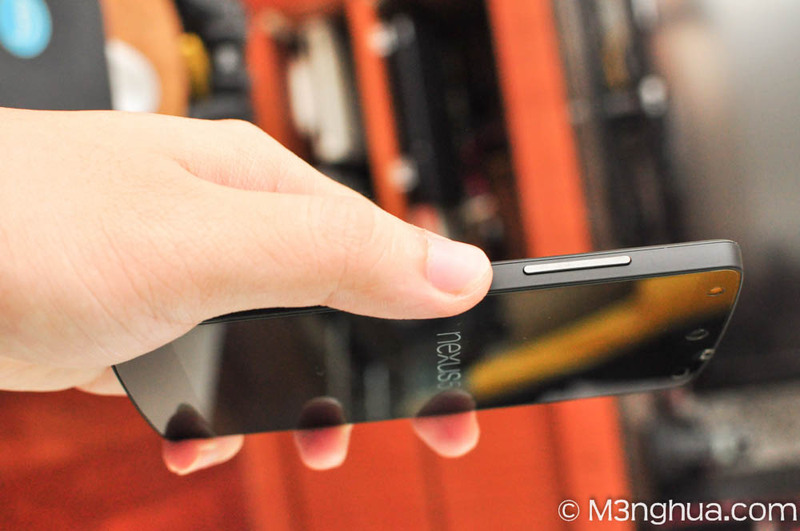 The black color back cover provides the soft-touch feel. On the right side lies the power button and the sim card tray, while the volume buttons lies on the left side of the phone. The power and volume buttons were made of ceramic and it’s very solid to press on. However, the volume buttons were quite loose and you can hear the buttons rattling when you moving the phone or shake it. Speaker grills located and the bottom left while the right is actually the microphone and the Micro USB port at the center. One weird thing about the micro USB port is that the port is actually reversed meaning you have to plug in the micro USB cable facing the opposite side the way you used to. 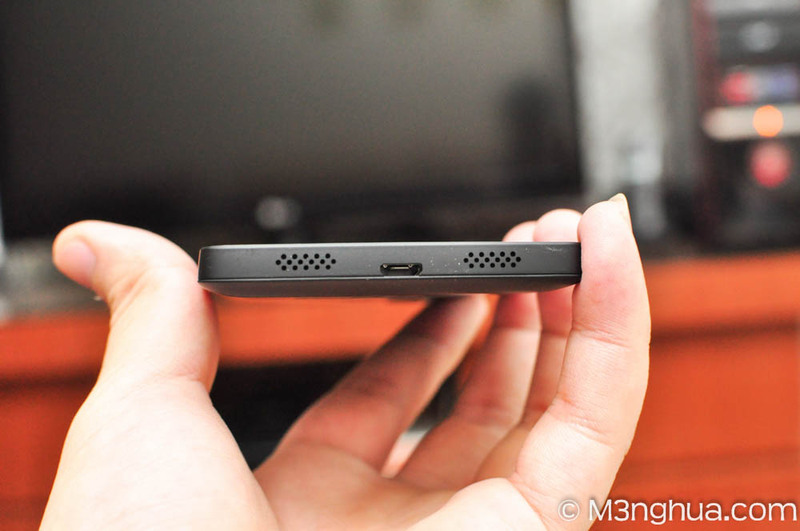 3.5mm headphone jack located at the top and the camera lens and flash located at the back of the phone. The camera lens comes with a big ring around it where reports claim that it is a magnetic ring for add on lenses. 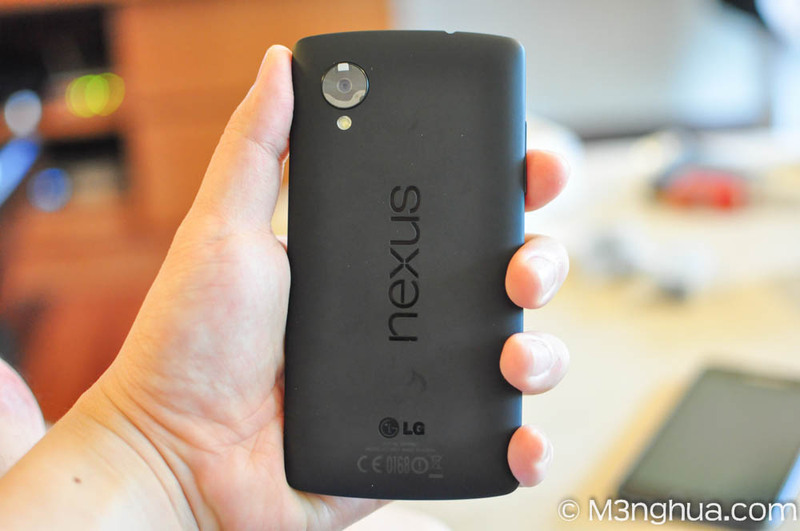 The Nexus 5 just feels right when holding with one hand. Not too big nor too small and the buttons are easily reachable. There was a system update when I first turn on the phone and this is how it looks like when performing the system update. This is a comparison between Nexus 5, Samsung Galaxy Note and Galaxy Note 2. 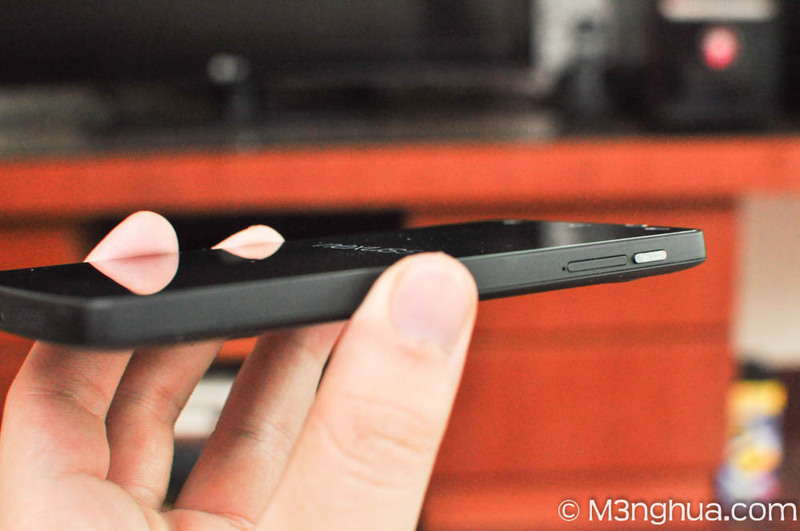 Nexus 5 looks quite small compared to those phablets even though it’s only 0.3 – 0.5 inches difference. 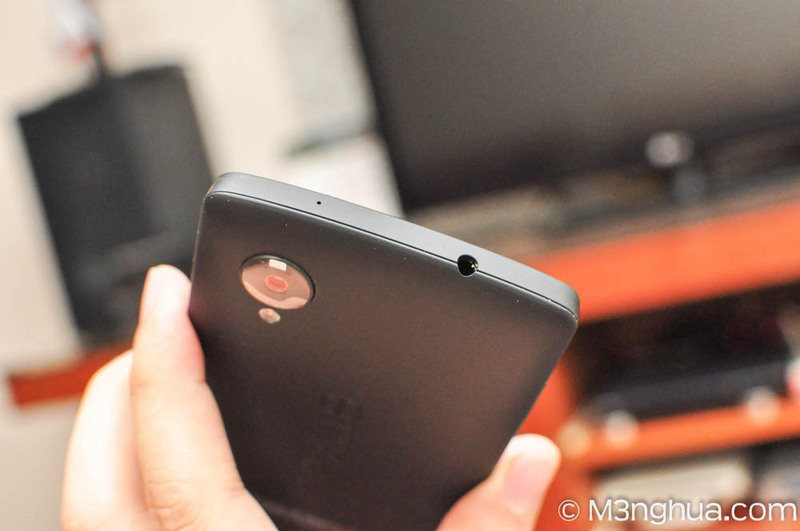 The Nexus 5 rear camera is 8 megapixels with Optical Image Stabilization while the front camera is 1.3 megapixels. The functions are almost the same like previous Jellybean’s while there’s a new HDR+ mode being introduced. 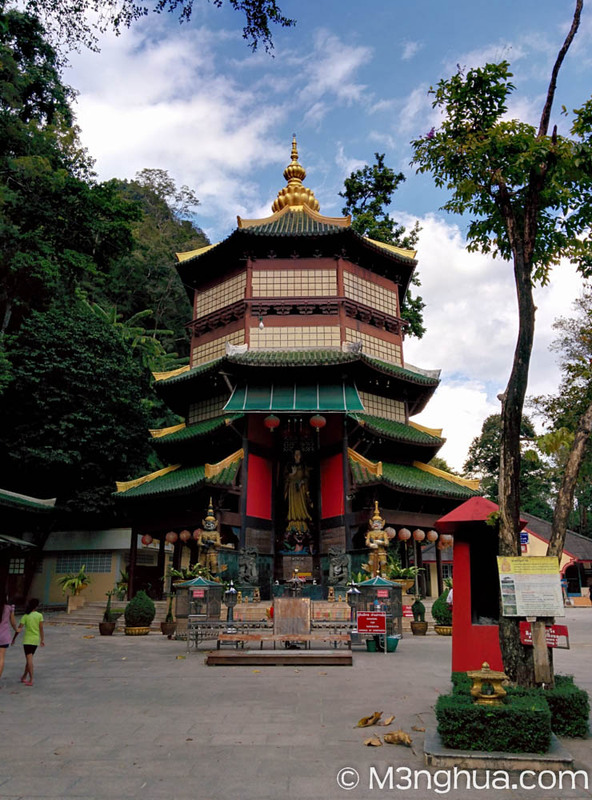 The HDR+ mode actually takes 3 photos with different exposure and combined into one to make the color stands out. Taking videos with shaky hands? The OIS hardware helps a lot stabilizing and reducing the shakiness. Here’s a photo taken with the HDR+ mode but it does look a bit dark. In terms of performance, Nexus 5 camera still lags a bit in focusing speed and also taking low light photographs when compared to Samsung phones. In my experience, there were times where photos taken indoor were so dark compared to Samsung Galaxy Note 2 which is brightly clear. Hopefully the next version of Kitkat can have this issue resolved. 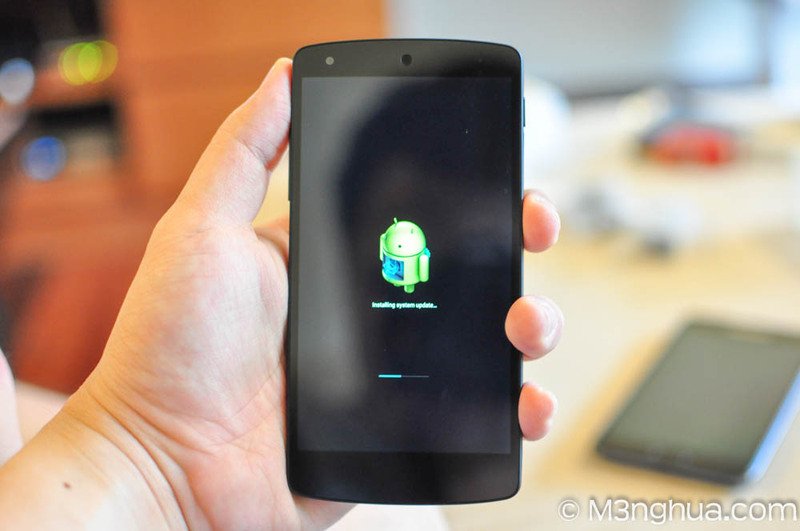 Nexus 5 is loaded with the latest Android Kitkat 4.4 software and is being updated to 4.4.2 as of now. In terms of performance there’s nothing much to pick on, as it is top of the class with no lag detected at all! Interface are smooth and project butter makes the home screen buttery smooth. In terms of battery life, the phone can last me the whole day with mobile data turned on and syncing emails and social media, some phone calls and messaging and light internet surfing & gaming. I can easily get at least 3 hours screen on time before the battery runs flat. When compared to my old Galaxy Note, the Nexus 5 battery actually lasts longer with the same usage on both phones. Note that battery life depends on individual usage and it differs for different people. Some heavy users reported that their battery only lasts 4-5 hours before they need to recharge the phone again. 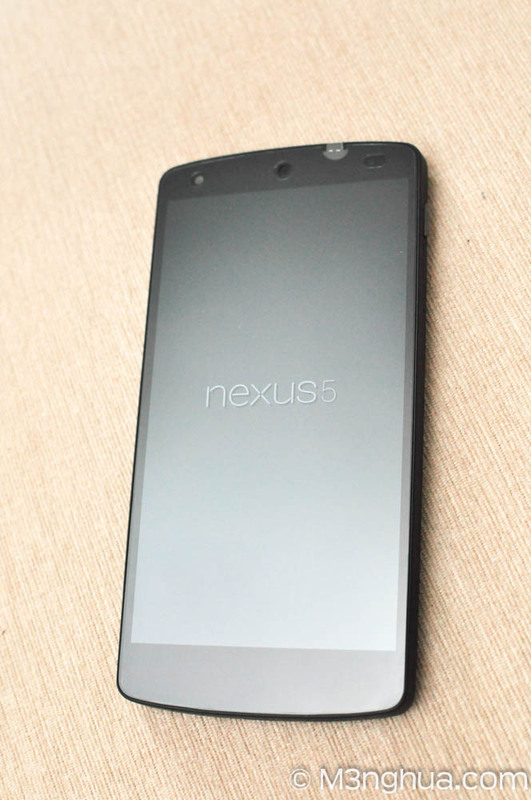 The Nexus 5 is not the best phone in the world, but it should be the best in terms of the pricing. 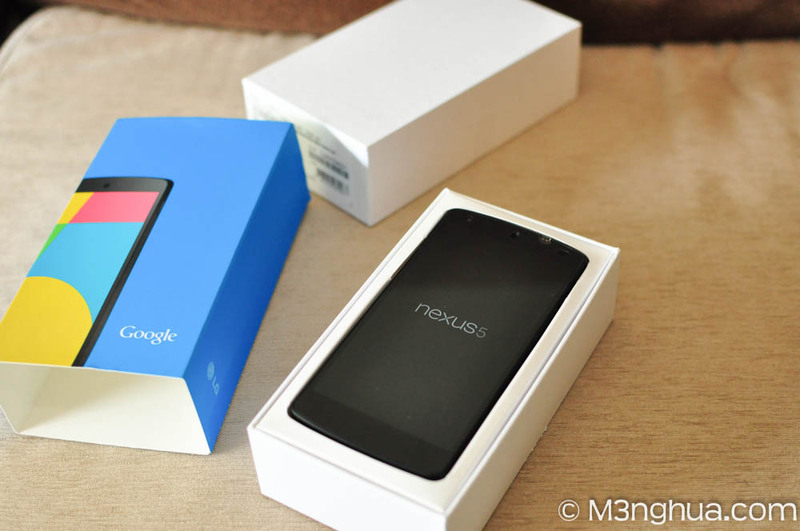 Being Nexus meaning that you get the latest features and updates whenever Google updates the new Android version and that is the best compared to all other Android smartphones out there. After using the phone for more than a month, there are no issues found except for some downside of the camera. In my opinion, a bigger capacity battery and better camera software will make the phone top of the class. If you can live with these then this would be a great phone for you.